Millennium 7 Publishing Co.: Photogenic Social Media Marketing For Businesses? 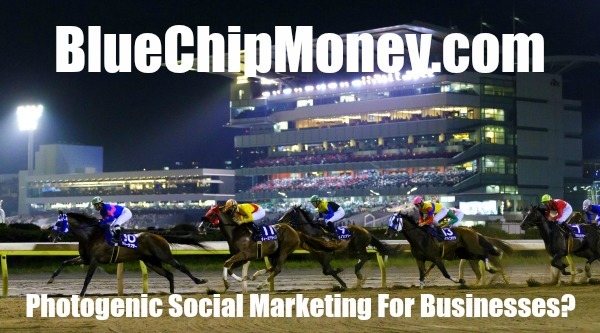 Photogenic Social Media Marketing For Businesses? Nothing to see here? Social media marketing for businesses that aren't photogenic..
Related Article: Social Media Marketing Steps To Success? In order to properly utilize social platforms as effective marketing channels, a company must be capable of delivering content in an easily digestible and attractive way. In today's market, images are the number one consumed medium. That being said, not every business has a plethora of relevant images to share on social media. This article will detail four effective social media marketing strategies for the non-visual business. Buffer recently teamed up with Social Media Week to collect data from over 1,700 social media marketers for its State of Social Media 2018 Report. According to Buffer, the purpose of the report is to understand social media marketing trends for 2018 and beyond. Marketers from businesses of varying sizes and industries were surveyed to identify how companies are approaching social media marketing today. Related Article: What Other Peoples Advertising Can Teach YOU? Images are the most shared type of content: To connect and engage with its customers, a business must produce good images that are relevant to its brand. A captivating photo, caption or hashtag has the potential to drive engagement and shares. Facebook, Twitter and Instagram are major outlets for social media marketing: To compete in today's market, your business must be utilizing social media in its marketing strategy. I strongly suggest creating business accounts for any or all of these channels. With these key findings in mind, let's dive into the four social media marketing strategies for the non-visual company. --What do they like to do? --What kind of information are they looking for? --What can they get from you that they can't get anywhere else? --What is the customer's relationship with you as a company? Let's look at Mastercard's Instagram page. As a credit card company, Mastercard is not particularly visual by nature. In order to reach and engage with its target audience on a personal level, the company bases its content on understanding its users' real-life challenges and offering a solution. Take this post for example. Here you see a snapshot of a new father's busy day with his baby. The video makes the average parent feel understood. Mastercard has created a persona that understands how hectic life can be for new parents, and more importantly, can make life easier. With nearly 1,900 views, this method is clearly effective. Related Article: Why Social Media Influencers Prefer Instagram? MailChimp is an email marketing service. As you can imagine, finding Instagram worthy photos to represent an email-based service is not an easy task. MailChimp brilliantly tackles this challenge by developing a fun, easily identifiable brand persona for its Instagram page. Furthermore, the company maintains this persona by sharing photos that are stylistically consistent. Predominant themes employed by MailChimp include retro drawings, funny comics, young, hip and bold images. Why is this such a good tactic? Creating a unique brand persona can make a company easily recognizable across multiple platforms. Moreover, persona logos like the signature MailChimp monkey can easily be placed anywhere across social media channels and be instantly recognized. There's simply no easier way for a brand to be everywhere at once. Humanizing your brand is essential for developing a relationship with your customers. Without the people behind the company, your brand is essentially a faceless entity. Let's take a look at General Electric. GE has been around for so many years that it has become a household name. In order to successfully engage with social media users on a personal level, GE uses the faces of the company to humanize the brand and create its identity. Take a look at this post. Not only do we get an inside look at the making of one of General Electric's products, we see real people building it; the faces of GE. Related Article: Your Image Based Social Media Impact? General Electric's Instagram feed, you will see a pattern of showcasing GE products in visually stunning and artistic ways. These highly shareable images create intrigue, and intrigue gets people talking. Related Article: Should YOUR Business Advertise On Instagram? As an inherently non-visual company, a consistent supply of content to share is hard to come by. Social media holidays and upcoming events are perfect opportunities for promoting your brand while also staying relevant. Related Article: Promote YOUR Brand With Social Media Videos? Participating in these social media events with your audience will create a sense of comradery between company and customer. The four social media marketing strategies detailed above can be extremely effective if implemented correctly. While these strategies aim to aid the non-visual business specifically, these approaches are applicable to any and all companies looking to create a presence in the social media world. Keep in mind that in order for these marketing strategies to be effective, your business must have a solid social media following. Furthermore, as platform algorithms evolve, so must your understanding of discoverability. Guest Authored By Liz Coffman. Liz has worked in the advertising industry for over seven years and is passionate about connecting people to the world around them through her writing. As head of content marketing for Riotly, she is dedicated to helping others make an impact via knowledge, communication and social media. Follow Liz on Twitter.